NEW DELHI: The auto component industry growth to stay in the range of 12-15% in 2011-12 as against to 34% in 2010-11 due to the slowdown in domestic consumption, said the Automotive Component Manufactures Association of India (ACMA). During the last fiscal year, the domestic auto sector has grown by 26%. 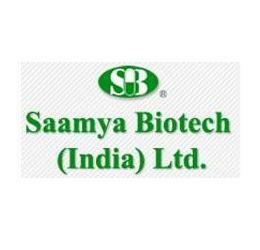 The data by ACMA has showed that the industry had witnessed a turnover of Rs 1,821 crore (USD 39.9 billion) in 2010-11. The growth estimation of 12-15% is due to the uncertainty in the global markets along with the surging-input costs and strong interest rates. SHANGHAI: Sino-Forest Corp., the latest foreign-listed Chinese company that is accused of dodgy accounting, has hurt the reputation of the country's firms and made it harder for them to list overseas, analysts say. The Toronto-listed company, which operates forest plantations in China, is under investigation by Canadian regulators over allegations it misstated its revenue and exaggerated its timber holdings. Its founder has resigned and its shares, which have plunged about 60 per cent since the scandal broke in early June, have been suspended from trading. The optimism in Indian equity markets got tempered in afternoon trades on Tuesday and the frontline indices came off to some extent from the intraday highs as marketmen dissected the first quarter GDP numbers. Indian economy grew at 7.7% in the April-June period, the slowest pace since 2010, confirming fears of a slowdown mainly due to the poor performance of the manufacturing sector. RBI’s the longest stretch of monetary tightening in a decade have made borrowing more expensive and slowed investment and consumer demand in Asia's third-largest economy. Chilli futures declined today on the back of sluggish demand in the physical market against higher arrivals from the fresh crop. 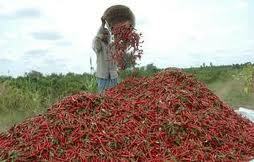 At NCDEX Chilli September contract is trading at Rs.8174 per quintal, a decline of 0.07% on 14:30 IST against the previous close. In the early sessions the contract traded at a range of Rs. 8118-8236 per quintal and open interest of the contract is 12820 lots so far. To enhance trade over the land routes, India and Bangladesh have taken the first major step by relaxing the present practice of unloading trucks at the zero border point. Trucks from both sides would now be allowed to enter 200 metres inside each other’s territories. To reinforce trade at the Petropole-Benapole border in Bengal’s North 24 Parganas district, Union Home Minister P Chidambaram laid the foundation stone for a new road there to ensure flawless traffic flow on the route, with state-of-the-art warehouses and modern parking facilities for heavy vehicles. The Petropole border is the largest land customs station in Asia. The total cost of the project is around Rs 125 crore and State-run RITES is the advisor. This new stretch would be a bypass road on the present congested one, connecting Benapole to NH35, bypassing Bongaon, the last town in the India-Bangladesh border that is 97 km from Kolkata. AIG Mutual Fund has announced dividend under the retail daily dividend option of AIG India Liquid Fund, an open ended liquid scheme. The amount of dividend declared is Rs 0.17609733 per unit for retail and Rs 0.16890758 for corporate as on August 28, 2011. The primary investment objective of the scheme is to seek to generate a reasonable return commensurate with low risk and a high degree of liquidity, from a portfolio constituted of money market securities and short term debt securities. The board meeting of Visagar Polytex will be held on 30 August 2011 to take on record the audited financial results of the company for the year ended 30 June 2011 and to recommend dividend for the financial year 2010-11. Edelweiss Mutual Fund has announced daily dividend under the retail option of Edelweiss Liquid Fund. The fund house has announced dividend of Rs 0.00171600 per unit for individual / HUF and Rs 0.00164600 for others for August 26, 2011. The investment objective of the scheme is to provide optimal returns, commensurate with low risk and high degree of liquidity, through a portfolio constituted of money market and short-term debt instruments. 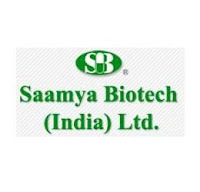 The board of Saamya Biotech India in its meeting on 26 August 2011 has allotted 17,90,000 equity shares to Y Manivardhan Reddy and Y Sonia Reddy, pursuant to conversion of warrants. The fund house has announced dividend of Rs 0.00202500 per unit for individual / HUF and Rs 0.00194300 for others for August 25, 2011. The board meeting of Kwality Dairy India will be held on 01 September 2011 to consider and approve the audited balance sheet as at 31 March 2011 and to consider recommendation of dividend for the financial year 2010-11. 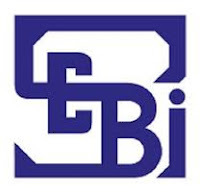 Mutual Funds (MFs) made investments worth Rs 443.70 crore and sold off Rs 324.00 crore worth of equities on August 23, 2011, according to data released by the Securities and Exchange Board of India (SEBI). Thus, MFs stood as net buyers of Rs 119.80 crore in equities on that day. In the month of August, MFs have made total investments of Rs 10723.80 crore and sold off Rs 8788.30 crore worth of equities, so far. In the debt segment, MFs made investments of Rs 3272.90 crore and sold off Rs 3294.70 crore on August 23, 2011 as per the details available with SEBI. Thus MFs stood as sellers of Rs 21.80 crore on that day. Further, MFs have poured in total Rs 42188.80 crore and have taken out Rs 42495.90 crore in debt market for the month of August, so far. अक्टूबर डिलीवरी के लिए अनुबंध 0.41% या 70.00 रुपये नीचे 33,638.00, रुपये पर कारोबार कर रहा था, इसकी 33,638.00 रुपए के पिछले बंद से. अनुबंध के ओपन इंटरेस्ट एनसीडीईएक्स पर 6862 लोट पर खड़ा था. Pepper futures are witnessing some lower level buying on Thursday, also the export and domestic demand remain firm for the commodity. 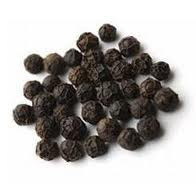 Traders are of the view that overall trend will remain bullish for Pepper from a medium to long term point of view on strong Fundamental factors like expected rise in export and domestic demand, and lower stocks and lower global production reports. The contract for September delivery was trading at Rs 33,155.00, up by 0.24% or Rs 79.00 from its previous closing of Rs 33,100.00. The open interest of the contract stood at 8720 lots. The contract for October delivery was trading at Rs 33,638.00, up by 0.41% or Rs 139.00 from its previous closing of Rs 33,500.00. The open interest of the contract stood at 2666 lots on NCDEX. The board meeting of Virinchi Technologies will be held on 02 September 2011 to consider and approve the balance sheets, P&L, direct report, Auditors report and notes to accounts for the year ended 31 March 2011 and to recommend dividend. इसके अलावा, ऊपर आवंटन, कंपनी की प्रदत्त शेयर पूंजी के लिए परिणामस्वरूप 235.34 करोड़ रुपए से 235.35 करोड़ रुपये के लिए से चला गया है. 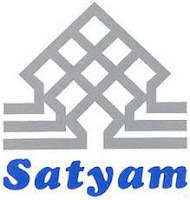 The committee of Satyam Computer Services on 23 August 2011 has allotted 33,898 equity shares under stock option plans (ASOP-RSU) of the company. Further, consequent to the above allotment, the paid up share capital of the company has gone up from Rs 235.34 crore to Rs 235.35 crore. Reliance Mutual Fund has announced the declaration of dividend on the face value of Rs 10 per unit under dividend payout option of Reliance Fixed Horizon Fund – XIII Series - 6. The record date for dividend has been fixed as 29 August 2011. The quantum of dividend will be entire distributable surplus available in the scheme as on the record date. The scheme recorded NAV of Rs 10.1852 per unit as on 22 August 2011. Reliance Fixed Horizon Fund – XIII Series - 6 is a close ended income. Scheme has the primary investment objective to generate regular returns and growth of capital by investing in a diversified portfolio of Central and State Government securities and Other fixed income / debt securities. The board meeting of Bhagyashree Leasing & Finance will be held on 30 August 2011 to consider and approve the balance sheet and profit & loss accounts for the financial year ended 31 March 2011 and to recommend dividend, if any. The fund house has announced dividend of Rs 0.00172600 per unit for individual / HUF and Rs 0.00165600 for others for August 22, 2011. 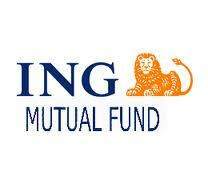 ING Mutual Fund has declared dividend under dividend option of ING Core Equity Fund on the face value of Rs 10 per unit. The quantum of dividend will be Rs 2.50 per unit as on the record date. The record date for dividend has been fixed as August 25, 2011. 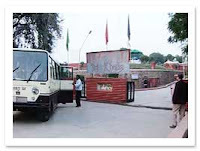 The scheme recorded NAV of Rs 18.38 per unit as on August 18, 2011. 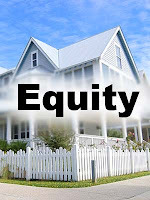 The investment objective of the scheme is to provide long-term capital appreciation from a portfolio that is invested predominantly in equity and equity-related securities. 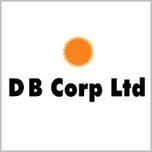 The members of the compensation committee of D B Corp on 18 August 2011 have allotted 603 shares of Rs 10 each on the exercise of 603 stock options under the DBCL-ESOS Scheme 2008, to its employee covered under the scheme. EID Parry India has allotted 1,09,368 equity shares of Re 1 each arising out of exercise of employee stock option granted under the Employee Stock Option Scheme 2007. With this allotment, the number of equity shares outstanding is 17,33,70,798 and the paid-up equity share capital is Rs 17.34 crore. The board meeting of Grauer & Weil India will be held on 30 August 2011 to consider and take on record the audited financial results of the company for the financial year ended 31 March 2011 and to recommend dividend, if any. 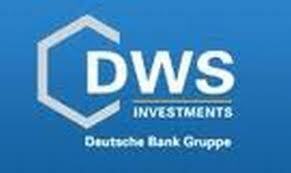 Deutsche Mutual Fund has declared daily dividend under individual and non-individual option in regular dividend plan of DWS Insta Cash Plus Fund. The amount of dividend declared for August 18, 2011 is Rs 0.00184670 per unit and is applicable for individual. The investment objective of the scheme is to generate steady returns along with high liquidity by investing in a portfolio of short-term, high quality money market and debt instruments. Development Credit Bank on 18 August 2011 has allotted 2,140 equity shares of Rs 10 each, pursuant to the terms of the Employee Stock Option Plan (ESOPs) of the bank. Post allotment, the bank's issued and paid up share capital has increased to 20,02,24,474 shares of Rs 10 each. Kotak Mutual Fund has declared dividend under dividend option of Kotak Quarterly Interval Plan Series 7 on the face value of Rs 10 per unit. The quantum of dividend will be entire appreciation in Net Asset Value of dividend option as on record date. The record date for dividend has been fixed as August 23, 2011. The scheme recorded NAV of Rs 10.2167 per unit as on August 16, 2011. 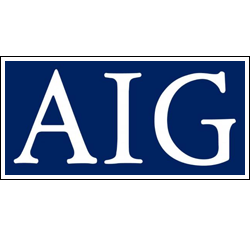 The investment objective of the scheme is to generate returns though investments in debt and money market instruments with a view to significantly reduce the interest rate risk. Physical rubber prices escalated their declining trend on Wednesday as the buyers remained on sidelines, expecting further fall to initiate buying. Though, the future prices improved both at domestic as well as international front.Spot prices for RSS-4 variety closed at Rs 198/kg compared to its previous closing of Rs 200/kg, while the RSS-5 variety closed at Rs 193/kg compared to its previous closing of Rs 195/kg.In futures market, the contract of RSS-4 for September delivery closed at Rs 199.95 compared to its previous closing of Rs 198.60, while the contract for October delivery closed at Rs 198.40 compared to its previous closing of Rs 197.30 on the National Multi Commodity Exchange. Rating Major ICRA has reported unaudited results for the first quarter ended June 30, 2011. 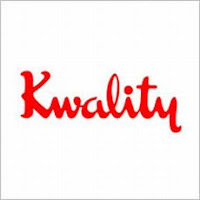 The company’s net profit for the quarter ended June 30, 2011 declined by 63.16% at Rs 3.99 crore as compared to Rs 10.83 crore for the corresponding quarter last year. Its income from operation has decreased by 12.15% at Rs 23.79 crore for the quarter under review from Rs 27.08 crore for the same quarter last year. The committee meeting of Entegra will be held on 18 August 2011 to consider allotment of equity shares by conversion of 325 lakh compulsory convertible preference shares (CCPS). 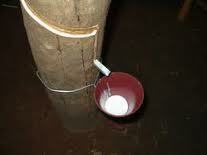 Physical rubber prices extended their fall on Tuesday due to buyer resistance and decline in domestic and international future prices. Though volume remained high but traders are expecting further fall in the prices in coming days. Spot prices for RSS-4 variety closed at Rs 200 compared to its previous closing of Rs 202.50, while the RSS-5 variety closed at Rs 195 compared to its previous closing of Rs 199.In the futures market, the contract of RSS-4 for September delivery closed at Rs 198.70 compared to its previous closing of Rs 201.56, while the contract of October delivery closed at Rs 197.45 compared to its previous closing of Rs 200.72 on the National Multi Commodity Exchange. National Aluminium Company (Nalco) has reported unaudited results for the first quarter ended June 30, 2011. 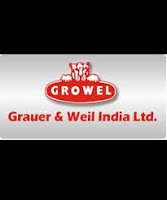 The company’s net profit for the quarter ended June 30, 2011 surged by 32.67% at Rs 376.84 crore as compared to Rs 284.05 crore for the corresponding quarter last year. Its total income increased by 35.15% at Rs 1889.10 crore for the quarter under review from Rs 1397.81 crore for the same quarter last year. The fund house has announced dividend of Rs 0.00170600 per unit for individual / HUF and Rs 0.00163600 for others for August 15, 2011. 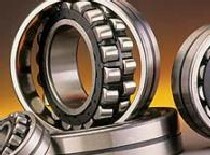 Tata Steel has reported unaudited results for the first quarter ended June 30, 2011. The company’s net profit for the quarter ended June 30, 2011 rose by 40.52% at Rs 2219.43 crore as compared to Rs 1579.39 crore for the corresponding quarter last year. Its total income increased 27.47% at Rs 8412.89 crore for the quarter under review from Rs 6599.91 crore for the same quarter last year. 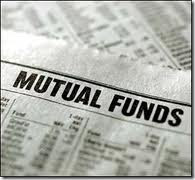 Mutual Funds (MFs) made investments worth Rs 839.10 crore and sold off Rs 548.70 crore worth of equities on August 10, 2011, according to data released by the Securities and Exchange Board of India (SEBI). Thus, MFs stood as net buyers of Rs 290.40 crore in equities on that day. In the month of August, MFs have made total investments of Rs 6350.60 crore and sold off Rs 4987.70 crore worth of equities, so far. In the debt segment, MFs made investments of Rs 3378.40 crore and sold off Rs 3159.40 crore on August 10, 2011 as per the details available with SEBI. Thus MFs stood as buyers of Rs 219.00 crore on that day. Further, MFs have poured in total Rs 20872.80 crore and have taken out Rs 24686.00 crore in debt market for the month of August, so far. The committee of HCL Technologies on 11 August 2011 has allotted 6,88,612 equity shares of Rs 2 each under 1999, 2000 and 2004 stock option plans of the company. Consequent to the said allotment, the paid-up share capital of the company has gone upto 68,93,77,136 equity shares of Rs 2 each, aggregating to Rs 137.88 crore. निम्नलिखित वस्तुओं के लिए अंक खर्च घटाने के बाद कंपनी के मुद्दे की आय का उपयोग करने का इरादा है: (क) अपने व्यवसाय के पूर्व स्कूल के विस्तार (ख) कार्यालय अंतरिक्ष के अधिग्रहण,(ग) विशिष्टता अधिकारों की प्राप्ति की शिक्षा सेवाओं को प्रदान करने के लिए; (घ) राजस्थान और गुजरात में शैक्षिक परिसरों के लिए बुनियादी ढांचे के निर्माण, ऋण की चुकौती (ङ), और (च) सामान्य कॉर्पोरेट प्रयोजनों. ट्री हाउस शिक्षा और सहायक उपकरण मूल रूप से 10 जुलाई, 2006 को एक प्राइवेट लिमिटेड कंपनी के रूप में शामिल किया गया था. Tree House Education & Accessories has come up with a 100% book building; Initial Public Offering (IPO) of 8,432,189 equity shares of face value of Rs 10 each in a price band of Rs 135-153 per equity share. 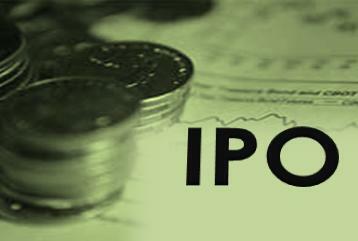 The IPO opens today, August 10,2011 and will close on August 12, 2011. JM Financial Consultants and Motilal Oswal Investment Advisors are the Book Running Lead Managers; Link Intime India is registrar to the issue. The Company intends to utilize the proceeds of the issue, after deducting Issue expenses for the following objects:(a) Expansion of its pre-school business;(b) Acquisition of office space;(c) Procurement of exclusivity rights to provide educational services;(d) Construction of infrastructure for educational complexes in Rajasthan and Gujarat;(e) Repayment of loan; and(f) General corporate purposes. Tree House Education & Accessories was originally incorporated as a private limited company on July 10, 2006. In order to cut the layers of intermediaries, road projects may soon be awarded in a true contract model - lock, stock and barrel to the lowest bidders. Initiated by the Planning Commission, the Roads Ministry is working on reviving the Engineering Procurement Construction (EPC) mode of road bidding, where projects will be awarded outright and official role will be reduced to deciding specifications and quality. The rephrased EPC policy is likely to be announced in 2-3 months time period. If EPC gets implemented in the way planning commission is suggesting, then it would be cheaper than annuity-backed projects. EPC which was earlier passed on were half-hearted attempts or in item-based construction contracts where government maintained a lot on its plate, including estimates of work to be done by the contractor. On the other hand, the government paid the contractor on the basis of measurement of work, but the system was prone to cost escalation, and bereft of economy incentives. Financial Technologies (India) has reported unaudited results for the first quarter ended June 30, 2011. 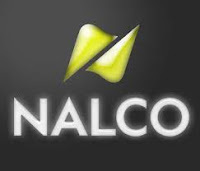 The company’s net profit for the quarter ended June 30, 2011 fell by 13.16% at Rs 39.21 crore as compared to Rs 45.15 crore for the corresponding quarter last year. Its total income decreased 7.38% at Rs 87.22 crore for the quarter under review from Rs 94.17 crore for the same quarter last year.